Hey folks! Did you know that, depending on where you live and how much you enjoy gardening, your growing season doesn't have to end with your harvest in late summer/fall? There are actually quite a few veggies you can plant in the fall and today we're going to talk about cool weather crops some. In a nutshell, most “cool weather crops” both grow better in the cooler weather and also have a short grow time. 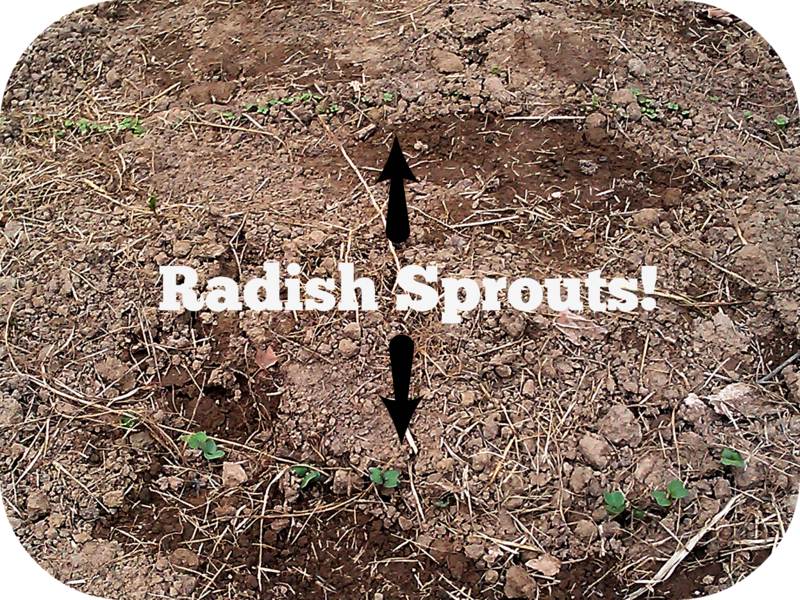 This makes these veggies ideal for areas that are mild year round or have all four seasons (aka a cool fall) so that they still have plenty of time to grow before winter. Many of these veggies, my husband tells me, will actually not do all that well if it gets too hot, hence being perfect spring and autumn crops. For example, beets will get woody and hard and radishes can rot in the ground during the summer! So, what did we decide to plant for our first fall garden? We have beets, two kinds of radishes, two or three types of lettuce, romaine, spinach, and garlic (which I'm told won't actually be ready until next spring, I believe). I feel like I'm forgetting some too. We just planted everything on August 25th and as of yesterday (the 30th) we already had romaine, both types of radishes, and beets sprouting! To be honest, I didn't even look to see when the ideal time was to plant any of that in our climate region, but John did make sure everything had a fast grow time (some of it only takes about a month from planting to harvest!) or was meant to be planted in the fall. What I'm trying to say is that everything should be “good to grow”. 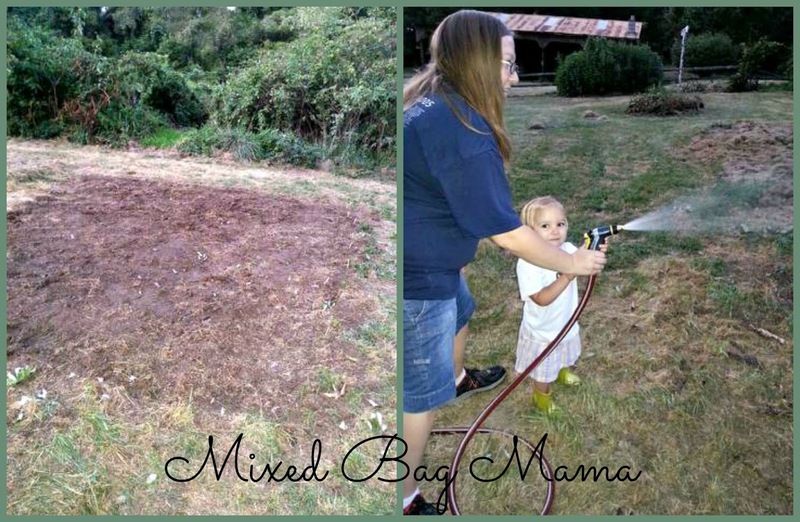 I worked really hard getting the garden ready, so by God I was going to plant stuff asap! Now, on to the bragging I promised in the last homesteading post. ;) As I've mentioned, we did all of this without a tiller or any machinery. We initially plotted out the garden with grass clippings. There was a ton of it at first, so the idea was that it would help kill off the grass underneath to help make digging it up easier eventually. When we were ready to dig, I raked all the grass aside and John dug everything with a shovel. O.o Believe it or not, it actually went a lot quicker than you would think! Still, better him than me. ;) After the digging was done, I put some of the grass clippings back over top, but not nearly as much as before. Then, long story short, over the next week or so, I kept messing with the grass and the dirt until I decided I didn't feel like fooling with the leftover clumps of sod. So, off came all the dead grass again and I beat as much dirt I could off of the grass clods and raked them out. Are any of you planting a fall garden? What do you look most forward to growing? Well, I seriously messed up on a lot this year because I had no idea what to plant at what time up here. I already have beets and radishes ready and our lettuce and cabbage died, so I wondered if I planted them at the wrong time. Maybe I should plant them later in the year! Thanks for the heads up! Definitely! I'm sure they would benefit from later planting, especially since our weather is probably about the same. I was reading an article in an Indiana gardening magazine the other day that said you can plant spinach (I'm pretty sure it was spinach, anyways :D) as late as mid-September! How crazy does that seem? !